One of the pivotal elements of a business being successful is to present a professional and polished image. In many cases, companies that are striving to design such business models are forgetful when it comes to the office design aspect. Additionally, those businesses forget the need for a phone system that is not only intuitive for employees to use, but also professional for customers to utilize. 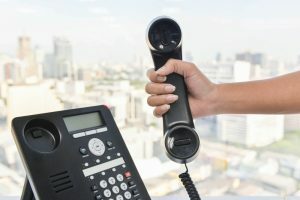 If you are located in Redlands, it is highly recommended that you reach out to Empire Technologies regarding business phone installation in Redlands. By doing so, you will be able to receive spectacular customer service for an affordable price. In order to learn more about Empire Technologies and our business phone installation in Redlands., it is highly recommended to reach out to us today by dialing (909)321-2570. Thus, do not hesitate to reach out to us today to schedule your consultation appointment. We would be elated to work with you to come up with an effective corporate communication strategy that would not only be easy to utilize for your employees, but also, a method to attract more customers to your business. Consider working with Empire Technologies and you will be amazed at the results you will receive.